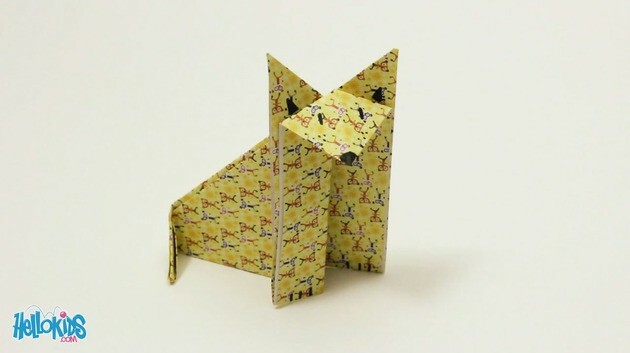 This is a very cute origami, quick to make, and fun: a Fox! 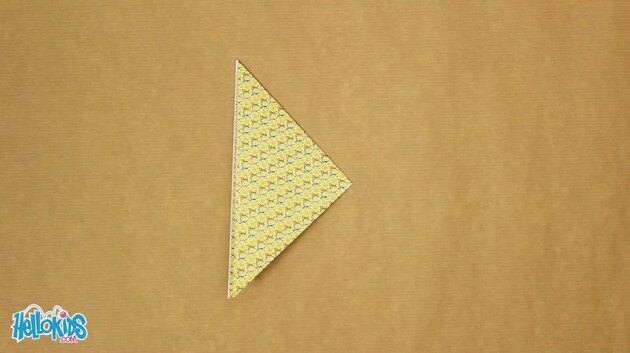 Watch the video, read the step, and you will see that it is very easy. 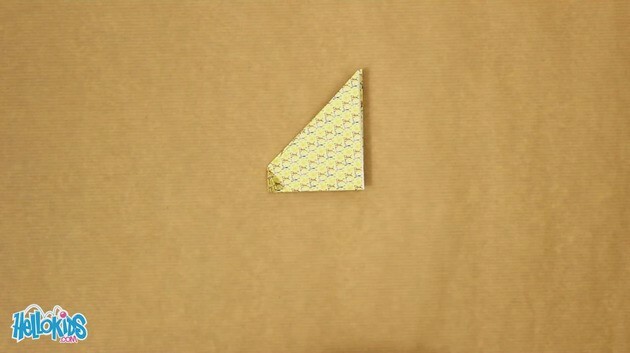 Fold the piece of paper into half diagonally. 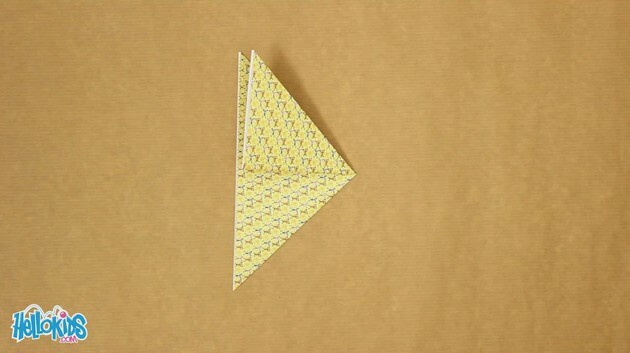 Fold it again into half, joining the two opposite corners. 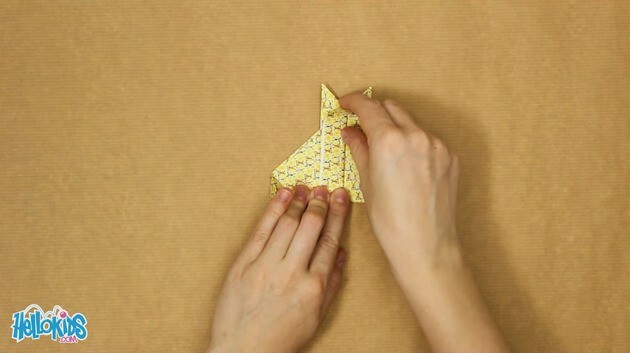 Fold the upper layer of the two layered side up to the opposite corner. 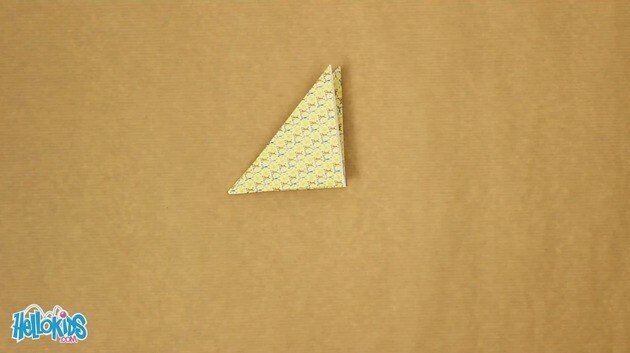 Turn over the origami, and start over the last step to get a small triangle like this one. 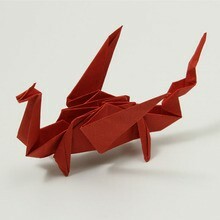 Fold back in the closed corner to make the tail. 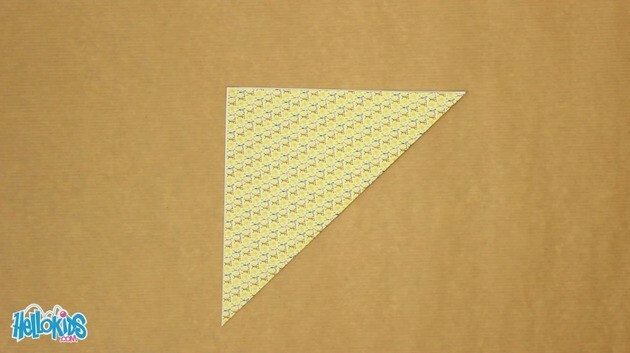 The opposite side to the tail is made of three layers. 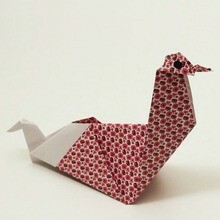 Fold the first one on the side. Open the second one, and flatten it down, it's the head of the lynx. What a very sly fox! Give it a nose, and two eyes. 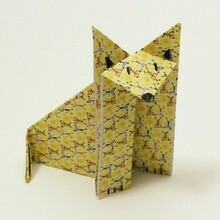 It can even be a [cat] or a lynx, depending how you decorate it, and what color you choose!